Morrison County dairy gal will represent the state's dairy industry for the year. Mary Zahurones, an 18-year-old college student from Pierz, was crowned the 58th Princess Kay of the Milky Way in an evening ceremony at the Minnesota State Fairgrounds August 24. As Princess Kay, Zahurones, who represents Morrison County, will serve as the official goodwill ambassador for Minnesota's nearly 4,500 dairy farmers. Mary is the daughter of Chuck and Pat Tax of Pierz, and will attend the University of Minnesota Twin Cities this fall as a pre-med student studying biology and chemistry. 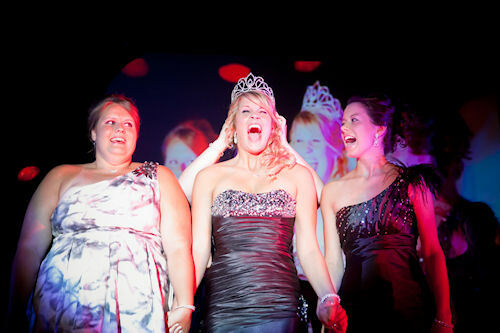 Mary Zahurones, an 18-year-old college student from Pierz, was crowned the 58th Princess Kay of the Milky Way. Twelve county dairy princesses competed for the Princess Kay of the Milky Way title. Stephanie Kasper of Owatonna, representing Steele County, and Theresa Twohey of Stewartville, representing Olmsted County, were selected as runners-up. Twohey was also named Miss Congeniality. Scholarships were awarded to Erin Daninger of Forest Lake, representing Washington County, April Johnson of Heron Lake, representing Cottonwood County, and Emily Krekelberg of Le Sueur, representing Le Sueur County. One of Zahurones' first duties as Princess Kay will be to sit in a rotating cooler for about six hours on the opening day of the Minnesota State Fair to have her likeness sculpted in a 90-pound block of butter. Each of the 11 other finalists will have her likeness carved in butter during the fair as well. This year marks butter sculptor Linda Christensen's 40th year carving Princess Kay of the Milky Way and finalists at the Minnesota State Fair. Throughout her year-long reign as Princess Kay of the Milky Way, Zahurones will make public appearances helping consumers make a connection with Minnesota dairy farm families who are dedicated to producing wholesome milk while caring for their animals and natural resources.